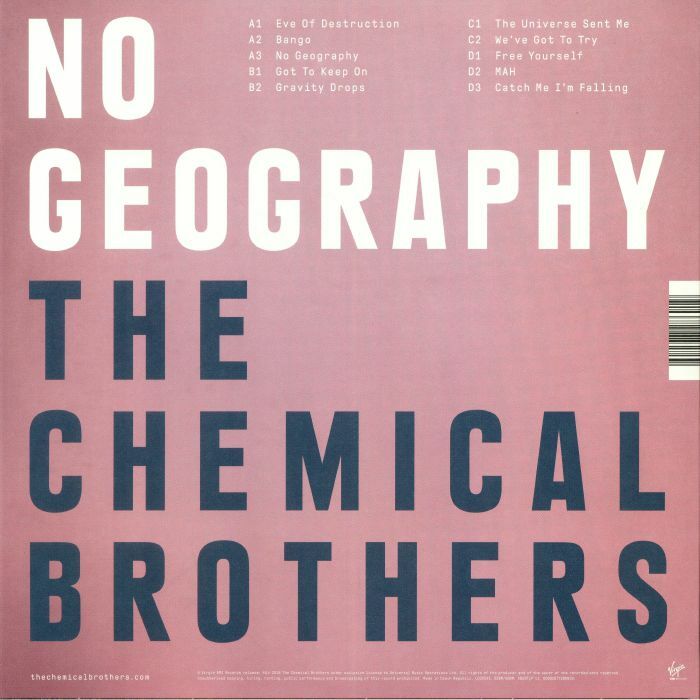 The CHEMICAL BROTHERS No Geography vinyl at Juno Records. The Chemical Brothers are back with their 10th studio album (mixes and soundtracks not withstanding), and they're sounding especially fired up. 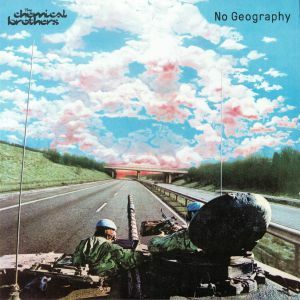 The widescreen stadium psychedelia they've made their own spills out in abundance across "No Geography", but it's also matched with a feverish energy. The more up-tempo tracks, like "Gravity Drops" and "Eve Of Destruction", spit and snarl with the best of their classic, down and dirty dancefloor material, but there's plenty of space for the starry eyed songwriting they've made their own in more recent times. Just cop "The Universe Sent Me" and be immediately transported to a festival field, where you'll no doubt be catching The Bro's this summer.